Representing the fastest successful recovery for any Endangered Species Act (ESA)-listed mammal in the United States, the U.S. 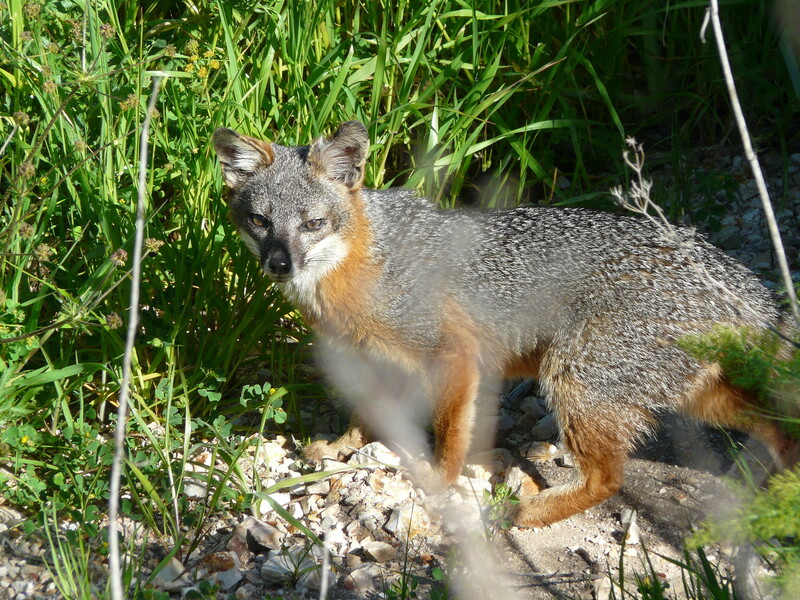 Fish and Wildlife Service (Service) today announced a proposal to delist three subspecies of island fox native to California’s Channel Islands. The removal of the San Miguel, Santa Rosa and Santa Cruz Island fox subspecies from the Federal List of Threatened and Endangered Wildlife would be an historic success for the multiple partners involved in recovery efforts. The Service is also proposing to downlist, or improve the status of, island foxes on Santa Catalina Island from endangered to threatened under the ESA. Since the island foxes were listed under the ESA in 2004, the Service and its partners have worked to eliminate or greatly reduce the primary threats facing the subspecies, namely predation, disease and low population numbers. The best available scientific data now suggests that populations of these island fox subspecies have recovered to self-sustaining levels. To ensure that northern Channel Island fox populations remain secure well into the future, the Service is also proposing a monitoring plan. On March 5, 2004, four of the six subspecies of island fox endemic to the California Channel Islands were listed as endangered following catastrophic population declines of over 90 percent, due primarily to predation by golden eagles on the northern Channel Islands and a canine distemper outbreak on Santa Catalina Island. To halt the downward spiral of island fox populations, the Service partnered with the National Park Service, The Nature Conservancy, and Catalina Island Conservancy to launch a series of recovery actions that included relocating non-native golden eagles from the northern Channel Islands; removing the non-native species that provided prey for the eagles; vaccinating foxes against canine distemper; and breeding foxes in captivity and reestablishing them to the wild. The recovery effort also included monitoring wild island fox populations and reestablishing bald eagles to their historic territories on the Channel Islands. As a result of these strategies, the island fox subspecies on the four islands have shown dramatic improvement. In March 2015, the Service released the final Recovery Plan for the four island fox subspecies, outlining proven methods for ensuring the subspecies’ long-term viability in the wild, including a golden eagle management strategy and disease epidemic response plan. In conjunction with the release of the final Recovery Plan, the Service also initiated status reviews of the four subspecies to determine if any of the subspecies warrant consideration for reclassification or removal from the Federal List of Threatened and Endangered Wildlife and accepted public comments. While data suggest island fox populations on Santa Catalina have also increased to historic levels, the potential for a disease outbreak remains an existing threat. Therefore, the Service recommends the subspecies’ status be reclassified from endangered to threatened, thus retaining ESA protections. A copy of the notice of availability for the proposed rule and post-delisting monitoring plan will publish in the Federal Register on February 16, 2016, under docket number FWS-R8-ES-2015-0170, opening a 60-day comment period. The Service will accept comments until April 18, 2016. The proposed rule will also be peer-reviewed by academia in the field of conservation biology. The Endangered Species Act is an essential tool for conserving the nation’s most at-risk wildlife, as well as the land and water on which they depend for habitat. The ESA has prevented more than 99 percent of the species listed from going extinct, serving as the critical safety net for wildlife that Congress intended when it passed the law 40 years ago. In addition, the ESA has helped move many species from the brink of extinction to the path to recovery, including California condors, Florida panthers and whooping cranes. The Obama Administration has delisted more species due to recovery than any prior administration, including the Oregon Chub, Virginia northern flying squirrel and brown pelican.